Need insurance for an older home? Buying older homes has become popular in Ontario, and particularly in the Greater Toronto Area where people purchase older houses in good locations with the intention of performing a renovation. 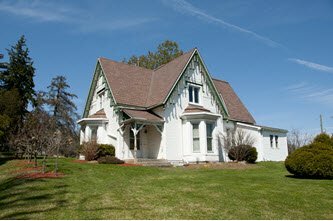 Purchasing an old house is a unique home buying experience. Older homes have unique insurance requirements. They tend to come with more risk, and often require renovations and building updates to ensure you can get homeowners insurance coverage for your older house. We've put together a handy article outlining insurance for older homes, tips for what to look for when buying an older house, and more! The comparison between insurance for new vs. old homes is an important one. Whether you've fallen in love with an old Victorian, mid-century ranch, or colonial, you need to fully understand the costs of insuring older homes. The process of buying an older home and understanding insurance requirements can be very different – largely because of the risk involved with buying an older house. Is Homeowners Insurance More Expensive For Older Homes? In general, older homes are more expensive to insure due to the repair and maintenance work required. Many older homes were not built to meet today's building and safety standards. Insurance companies are happy to insure newer homes that are well constructed, well maintained and have been recently built. Older homes can be more difficult to insure because of the potential risks with dated wiring, roofs, plumbing and heating systems. Therefore, it's important to perform due diligence when comparing older homes as well as comparing old home insurance quotes to understand your options. No one wants to buy a lemon! While there are risks associated with buying older homes, there are also many advantages, a reason why so many people today are in the market for old houses. Location : Many older house are in ideal locations in established neighborhoods. Price : Many older houses have lower selling prices because of thier condition. Character : They have character with original and unique building features such as flooring, mantles, doors and trim. Lot Size : Many older houses have larger lots. Potential : There is potential to increase the value of the home once renovated. Repair Costs : Replacement of windows, roof, wiring and other parts of the home that do not meet current building code. Hidden Issues : Additional repair costs discovered during a renovation such as mold, rot, termites, and structural issues. Energy Efficiency : Many un renovated home are not energy efficient. Outdated : Outdated design elements such as wall paper, lighting, plumbing fixtures and flooring. Insurance : Unrenovated older homes generally have higher insurance rates. There is a lot to consider when buying an old house. While you are likely thinking about renovations and interior design, insurance should be on the top of your list. There are many insurance coverage issues affecting older homes. "If your home is over 30 years old, your insurance company may require you to upgrade the plumbing, electrical and/or heating systems in your home prior to providing you with or renewing your homeowners insurance policy." 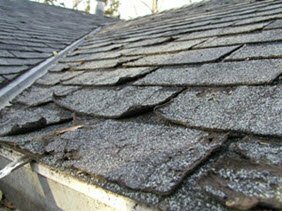 If your asphalt roof is more than 25 years old or other roofing materials have exceeded their suggested life expectancy, you may be required to replace the roof to get coverage. "Galvanized steel pipes, commonly installed in homes prior to 1950, have an average life expectancy of 40–50 years. Over time, the galvanized steel pipes begin to rust or corrode from the inside out, resulting in reduced water pressure and restricted water flow. This presents an increased risk of leaks or ruptures occurring in the pipes and the potential for flood damage." The heating system in your home may need to be replaced or upgraded to secure insurance coverage. Radiant heat panels, space heaters, and furnaces older than 25 years may not be deemed acceptable heat sources. If your home's oil tank is more than 25 years old, you may be required to replace it to get coverage. You may also be required to have it inspected and certified by a Technical Standards and Safety Authority (TSSA) inspector. "Tanks 25 years or older are highly susceptible to rusting, deterioration and leakage and are considered environmental hazards," says FSCO. Sewer lines and septic tanks may be required to be upgraded or inspected. You may also be required to add additional coverage to protect your home from water damage caused by sewer backup. Learn more about house water damage and prevention. Homes built prior to 1980 may not have wiring or amperage that meets new building standards. You may be required to upgrade from 60-amp service to 100-amp service (the minimum building code standard today). Why? "Insurance companies are concerned that the 60-amp electrical service, common in homes built prior to 1950, poses the threat of overuse and overheating, potentially increasing the risk of an electrical fire and a subsequent claim," says FSCO. If an older home has knob and tube wiring or aluminum wiring, you may be required to upgrade to copper wiring. 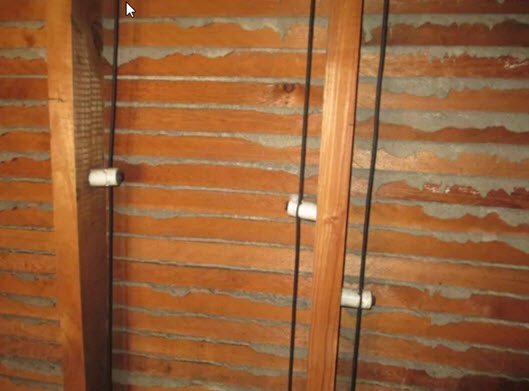 Commonly found in homes over 50 years old, knob and tube wiring can pose greater risks than the copper wiring used today. If not installed or used properly, wood burning stoves can be a fire hazard. 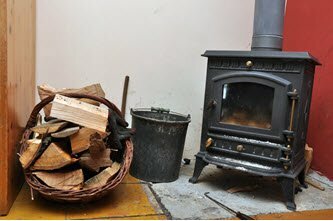 You may be required to have your wood burning stove inspected by a certified Wood Energy Technical Training (WETT) technician prior to getting home insurance coverage. Mortgage lenders require proof of home insurance prior to accepting your application for a mortgage. For a prospective home buyer planning to purchase an older home, this means you will have to address any issues preventing you from getting home insurance coverage. Renovations will be required to be completed by the seller or new owner to get insurance so you can also qualify for a mortgage. Depending on the number of upgrades required and the overall condition of the home, you may be required to get high risk insurance. It's common for older homes to require this type of insurance coverage. Learn more about your options for high risk home insurance in Ontario. 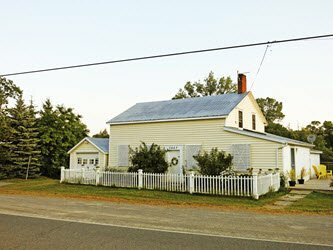 Buying a 100-year-old house can be a large undertaking, especially homes with a heritage designation. Homeowners insurance for houses over 100 years old can also require special considerations. Balancing requirements from your insurance company with the renovation guidelines for heritage homes in your area can be a challenge. 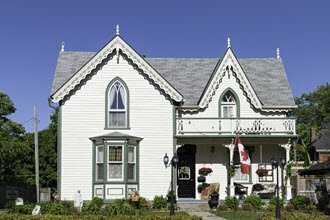 Since a renovation can cost up to 50 per cent more with a heritage home, it's important you fully understand what a heritage designation means for renovations and insurance coverage. "A heritage designation, bestowed by federal, provincial or municipal governments, protects the features of a property that are of special heritage interest," says Diane Jermyn in Globe and Mail. "What that means for owners of heritage homes is that any plans for repair or alterations must be approved by a committee, generally at the city level" she adds. "Your premiums should not go up as a result of a heritage designation. A variety of other reasons cause insurance companies to increase premiums for older buildings if there is a higher level of risk, such as services (out-dated wiring, old heating systems, etc.). In fact, some companies do not insure buildings over a certain age. Designation itself, however, does not place additional requirements on the insurer and therefore should not affect your premiums." If you purchase a home with heritage designation and there is a high level of risk, you make need to renovate and update issues with the home before you can get insurance. 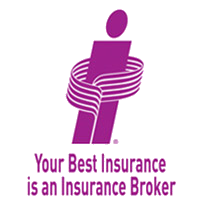 Compare Options : Work with an insurance broker to broaden your century home insurance options. Reduce Your Risks : Take steps to reduce the risk associated with filing a claim. Maintain Accurate Records : Keep records of the unique details and features of your home. Purchase Enough Insurance : Tailor your home insurance policy to meet your needs. Make sure you have enough coverage. Whether you are buying a 30-year-old house, buying a 40-year-old house, buying a 50-year-old house, or buying a 100-year-old house, you should ALWAYS get a home inspection before finalizing the deal. Consider the cost of these potential upgrades if you plan to bid on an older home in Ontario. Build the total cost of these repairs into the asking price and budget accordingly. Buying an older home can be a great investment, as long as you know what you are getting yourself into. They are usually not turn-key and will require some work once you take ownership. Inspection : When was the last time the home was inspected? Roof Age : How old is the roof? Windows : Have the windows been updated recently? Wiring : Does the home have knob and tube or aluminum wiring? Pipes : What type of plumbing and piping is used? Furnace : How old is the furnace? Pests : Are there any signs of termite, rodent infestations? Mold : Are there any mold issues? Asbestos : Does the home have asbestos? 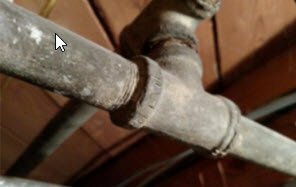 Systems : How old are the heating, electrical, and plumbing systems? Structure : Is the home structurally sound? Free Time : How much free time do you have to work on the house? Issues : Are you prepared to deal with unexpected issues? Work : Who will do the work – you or contractors? Budget : What is your renovation budget? Insurance for older homes doesn't have to be complicated. Considering the number of inspections and upgrades that may be requested by insurance companies, it's best to work with an insurance broker. At ThinkInsure, our brokers can help you navigate the process of getting old house insurance. We'll help you get coverage for your older house. We work with many home insurance companies and can provide you with options, even if you may need high risk home insurance. If you need help getting insurance for an older home, give us a call today! House Water Damage And Prevention - What Is Covered By Home Insurance?